Are you dying to achieve a perfect pout? 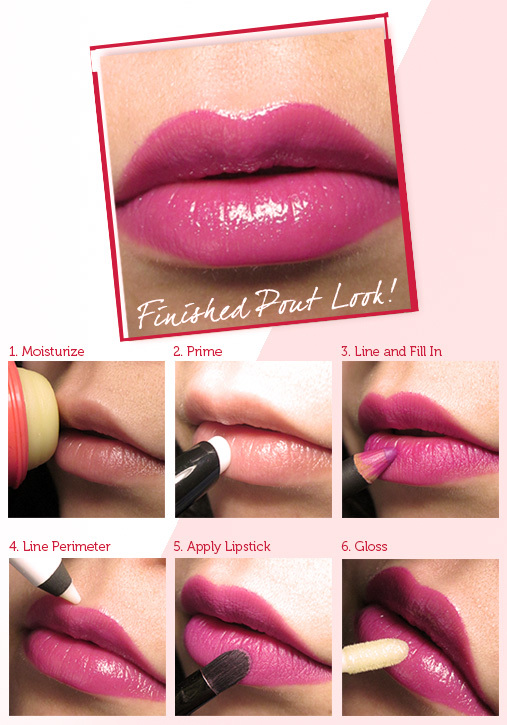 Here are some tips to help you create a lip that looks fabulous and wears well throughout the day or evening! Exfoliating your lips will remove any dead or dry skin, making them the perfect surface for lip products to adhere to. Mixing organic coconut oil with raw sugar makes a quick and easy lip scrub. Simply apply it to your lips in a circular motion, then gently wipe it away with a damp cloth. Moisturizing your lips prior to applying lip products will give you a smoother, more hydrated surface to work with. It will also prevent your lips from feeling super dehydrated as the day or evening goes on. There are a number of amazing primers out there, which are meant to help your lippies stay budge-proof and bright. MAC’s Prep + Prime Lip is an effective colorless ones. Lining and filling your lips with a complementary lip pencil will prevent your lipstick from feathering or bleeding, while helping it to maintain a more even appearance as it wears. When filling in your lips it’s easiest to shade them in using the side of the pencil rather than drawing on them with the point, as shown here using MAC Magenta lip pencil. If you struggle with bleeding and feathering, using a colorless lip pencil to line the outer perimeter of your lips can be extremely effective—such as Urban Decay Ozone. This creates a barrier, preventing lipstick from straying from your lips. Now that you’ve fully prepped your lips, apply your lipstick. Using a lip brush will enable you to apply even, thin coats, which will help you to build the color and create longer wear-time. MAC RiRi Boy was used here. If you’re using a matte lipstick and wish to maintain a matte look, skip this step. Otherwise, apply a layer of gloss to your look. This will give you an ultra-smooth, glossy finish while also helping to promote the longevity of your lip look! Butter LONDON Lippy in Frilly Knickers was used. Now that you’ve created the perfect, long-wearing lip look you’re ready to take on whatever the day (or evening) throws your way without worrying about your pout! The basic baseball tee is a must have in a essential wardrobe, you can style it in many different ways to achieve the "sporty" or wearable day time look. Jeggings can make a very a outfit feel casual yet comfortable. Style this look with a pair of ballet flats, and your ready to run your errands and grab coffee while you're at it. A printed skirt can liven up any top or blouse, you can mix match prints and have fun playing with skirt lengths. Add a statement necklace and bracelet and you'll have a completed look. Shorts in different lengths: high waisted, midrise, short short can be very appealing depending on your body shape. 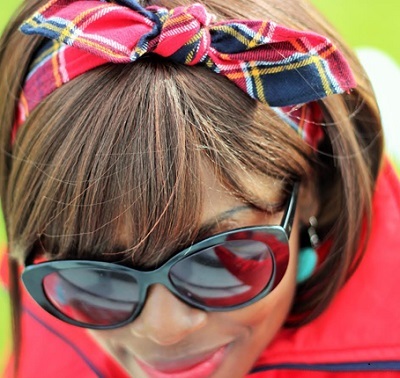 You can add an accent belt and accessories to pair your outfit.